I have come to see that Cirrus has developed an incredible aircraft and it does what it is designed to do very well. They are quite simple and easy to maintain. All About the Cirrus SR22, from the history to a mechanic’s perspective on how the aircraft stacks up. Cirrus Aircraft Corporation, originally Cirrus Design, was founded in 1984 by brothers Alan and Dale Klapmeier to produce the VK-30 kit aircraft. Over the years, Cirrus has transitioned from being a kit building company to a full fledged aircraft manufacturer, all the while navigating some serious business turbulence. During the tough times, however, Cirrus never stopped refining their designs and pushing forward in their quest to produce the safest airplanes possible. In 2001, they released the aircraft that they are most recognized for, the Cirrus SR22. With the first SR-22s rolling off the line in 2001, it very quickly became a wildly popular aircraft. By 2004, the Cirrus SR22 was the world’s best selling single engine aircraft, a title it has retained every year since, and currently holds. So, how did the SR22 come about? What features make it stand out from other aircraft? How exactly does its CAPS (Cirrus Airframe Parachute System) work? Does its safety record hold up? What does a seasoned, veteran mechanic think of the Cirrus SR22? I’m going to tackle these questions and more, and to make it easier for you, I’ve broken the information up into sections. So if you aren’t as interested in the history of the company or the aircraft, then skip those sections. Though if you do skip any of this article, just know you will make me sad, and I will shed one tear for each section you skip. So without further delay, grab your favorite beverage, park yourself in a comfy chair, and let’s get to it! In the early 1980s, the VK-301 was conceived as a kit plane project by three college students: brothers Alan and Dale Klapmeier and Jeff Viken2. They formed Cirrus Design in 1984 and started building a prototype of the Cirrus VK-30 in the basement of the Klapmeiers’ parent’s barn in Baraboo, Wisconsin. The VK-30 was designed as a five-seat aircraft from the beginning, making it significantly larger than most home and kit built aircraft at the time. It featured an all composite construction, had a low drag design, and mid-engine placement for a 300 hp Continental IO-550-G engine. This engine, through an extension shaft, drove a three-bladed pusher propeller that was mounted behind the tail of the aircraft. A few years into the design phase, the Klapmeier brothers were able to borrow some money and move the project to their own factory located at the Baraboo airport. After completing the design3, the first test flight of the VK-30 took place on February 11th, 1988 and Cirrus began delivering kits a short time later. In 1994, Cirrus relocated to a much larger facility in Duluth, Minnesota, and in 1996, announced plans to build a new factory at the Grand Forks International Airport in Grand Forks, North Dakota. Around this same time, the company discontinued production of the VK-30 and began developing the Cirrus SR20. The SR20 was type certified in October 1998, and they began delivering the aircraft in July of 1999. In November of 2000, they received a type certificate for their next model, the Cirrus SR22. The following year, they began delivering the SR22s and sold a controlling stake in the company to an international investment group for $100 million. By 2004, the Cirrus SR22 had become a huge hit, propelling Cirrus to a record-breaking 69% increase in sales over the previous year. In 2006, Cirrus celebrated rolling their 3,000th aircraft off the production line after only 7 years. Business was good, and Cirrus rode this high, increasing sales and operations each year until 2008 when the global sales slump in piston engine aircraft hit. Over the next few years, Cirrus struggled, cutting costs wherever possible and having to lay off employees at their various locations. Finally, after circling closer and closer to a possible bankruptcy, the company was purchased in 2011 by CAIGA (China Aviation Industry General Aircraft, owned by the Chinese government) for $210 million. Though some concern was expressed over ownership of the company leaving the US4, CEO Dale Klapmeier gave assurances that production of Cirrus Aircraft would remain in the US. In 2012, Cirrus was recovering nicely on the financial front and indicated that they were making good progress on certifying the Vision SF-50 Jet. They began hiring new workers, and in 2013, they had their best year since the 2008 slump. And finally, on March 25th, 2014, they had the first test flight of the Vision Jet. So, let’s rewind a couple of decades to the mid-1990s when grunge musicians were mumbling their way to fame and fortune, and James Cameron was blowing people’s minds at the dawn of full-fledged CG artistry. Cirrus had just discontinued production of the VK-305 kits and was transitioning from being a kit plane business to becoming, with the Cirrus SR20, an airplane manufacturer. And though they were moving away from kit planes, the legacy of the VK-30 was important. The VK-30 had been a fairly obscure and unconventional design, and Cirrus estimated that only 13 VK-30 kits were ever completed6. Through the process of designing and marketing this kit, Cirrus realized two things: they needed to go with a more conventional design, and it needed to be a certified production aircraft and not a kit. So, by 1998 they had certified the SR20, and by 1999, they were delivering it to customers. The SR20 was a boundary-pushing aircraft and set a number of firsts. It was the first production general aviation aircraft that had a parachute (the debut of CAPS). It was also the first manufactured aircraft to be completely constructed from composite materials, have side-yoke flight controls and feature the option for full flat panel avionics with dual 10 or 12-inch flight displays. And in 2004, the SR20 also became the first aircraft to receive the new European Aviation Safety Agency certificate for aircraft being imported into the European Union. That’s a pretty impressive first effort for an airplane manufacturer. So how did Cirrus decide they were going to top that? With an even more refined, powerful, capable aircraft: the Cirrus SR22. Rather than taking a breather and basking in the success of the SR20, Cirrus pushed forward and by November 2000, had received the type certificate for the Cirrus SR22. By 2001, they began delivering the plane to customers. In 2004, Cirrus introduced the 2nd generation SR22 or SR22 G2. In addition to the now-standard glass cockpit, the G2 featured a variety of other changes. Included among those changes, the fuselage underwent some small redesigns, resulting in fewer overall parts and better maintenance access points; the engine now featured a six point mount instead of a four point mount, which cut down on engine vibration; the interior was redesigned to be a little more comfortable; and the front seat shoulder harnesses now came standard with airbags. 2006 saw the introduction of the first turbocharged model, the SR22 Turbo G2. This turbo model featured a factory installed (under a Supplemental Type certificate) Tornado Alley turbo-normalizing upgrade kit, featuring twin turbo-normalizers and twin intercoolers. 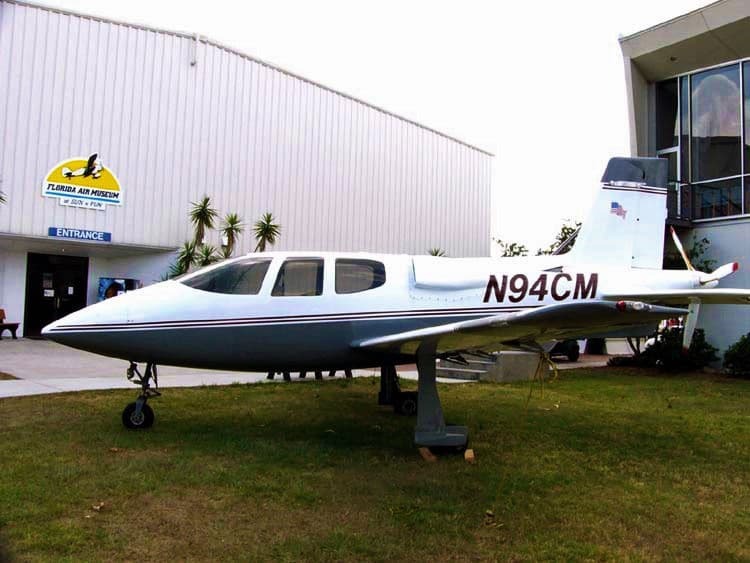 Cirrus also included built-in oxygen with this conversion and added a new Hartzell 3-blade lightweight composite propeller. The additional weight from these conversions reduced the useful load of the aircraft7, but gave the aircraft a certified 25,000 (7,600 m) foot ceiling, a maximum cruise speed of 211 knots (243 m/h, 391 km/h) and a top speed of 219 knots (252 m/h, 406 km/h). There were also cosmetic upgrades to the interior of the aircraft, including black leather seats. More impressively, due to the stronger, lighter material used in the wings construction, the overall weight of the wing was decreased by 66 pounds (30 kg), meaning the increase in range came without a resulting decrease in the full fuel payload. In addition, the improved wings featured better recognition and taxi lights and improved aerodynamic shaping on the trailing edge of the airfoils. Cirrus also redesigned the landing gear to be taller, allowing for better prop clearance and adopted the composite Hartzell propeller from the previous year’s turbo model. Many refinements were also implemented in the interior, including improved environmental controls, a nicer switch panel and improved door opening and locking mechanisms. Optional upgrades included XM Weather and Radio, a 60/40 split back seat configuration allowing for five passengers and additional shoulder harness airbags for all seats. In 2009, Cirrus partnered with Garmin to develop a new glass cockpit, the Cirrus Perspective. The current Avidyne system and the Cirrus Perspective were both offered in new G3 models, though the Perspective eventually won out and became the new standard system for the SR22. 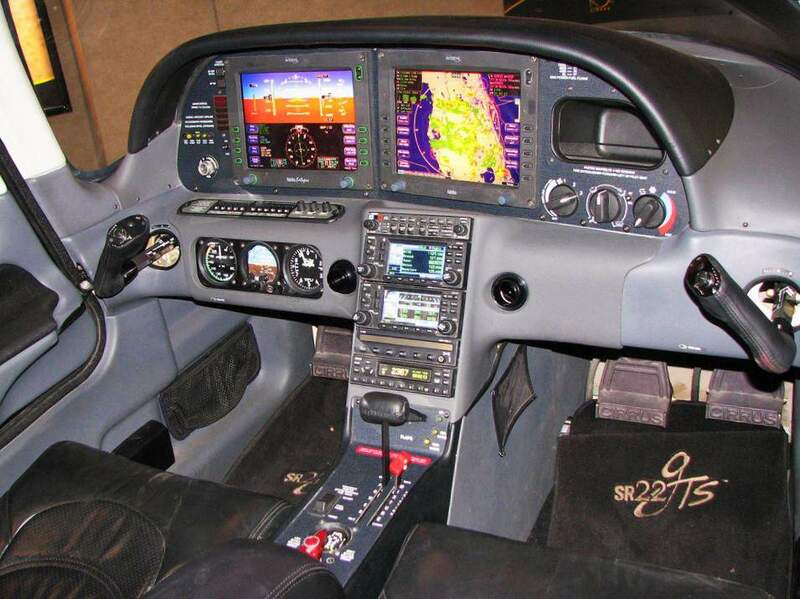 2009 also saw another important upgrade for new Cirrus SR22 G3 models. In January 2009, Cirrus finished testing its TKS anti-icing system, aimed at providing private pilots with additional protection against icing. The FAA certified the system in April 2009, and installation of this upgrade was offered immediately. This involved adding larger, 3.5-gallon tanks to the wings for de-icing fluid, and installing the lines and ports necessary for the TKS “weeping wing” system. This system delivered de-icing fluid to the leading edges of the wings as well as the horizontal and vertical leading edge surfaces on the aircraft’s tail. With the two tanks of fluid, it was estimated that a pilot could endure icing conditions for an extra 2.5 hours, but Cirrus stressed that this was not meant to encourage flight into known icing conditions, but rather give them an additional margin of safety should they hit icing conditions. The Turbo model saw the next upgrade, in 2010. Dubbed the SR22T, this model featured a ground-boosted 315 hp Continental TSIO-550-K engine. Equipped with low compression pistons (with a 7.5 to 1 compression ratio), the engine was capable of using a lower octane fuel, 94UL. The SR22T maintained the certified flight ceiling of 25,000 (7,600 m) feet and increased the cruise speed to 214 knots (246 m/h, 396 km/h). Finally, in 2013, Cirrus debuted the fourth generation standard and turbo models. However, just to keep private pilots everywhere on their toes, they skipped G4 designation and instead called the new models the Cirrus SR22 G5 and SR22T G5. The aircraft’s maximum takeoff weight increased by 200 pounds (91 kg); the speed at which flaps could be deployed was increased; the ADS-B transponder, Garmin GFC700 autopilot and 60/40 split backseat configuration that allowed for five passengers now came standard; and improvements were made to CAPS. In previous models, CAPS used a pyrotechnic based rocket ignition system to deploy. The G5 models introduced a new, failsafe electronic ignition, a larger parachute canopy to account for the increase in takeoff weight and a more powerful rocket. This meant deploying the parachute was now possible at speeds of up to 140 knots (161 m/h, 259 km/h) versus 133 knots previously. This upgrade adds a yaw damper to the aircraft, practically eliminating the need for rudder input during extended climbs and turns, offering a smoother ride for both the pilot and passengers. It also includes the Enhanced Vision System (EVS), which uses infrared technology to provide you with an image of the outside world during the night. It also adds a second Air Data computer, which adds redundancy and the ability to cross check information to your Perspective glass cockpit. As described previously, you can outfit your Cirrus SR22 with the TKS anti-icing system. In addition to the dual tanks, you get automatic tank switching, three flow rate options for the system and the full range of fluid duration and system operating information on your Cirrus Perspective. This option also comes with a Tanis engine pre-heater. So, the Cirrus SR22 is a pretty impressive aircraft. And though I’ve covered many of the features already, I’d like to spend a little time digging into a handful of interesting features found in the Cirrus SR22. OK, so it has a fixed gear tricycle configuration. Why is that a feature? Well, even with fixed gears, the SR22 manages a cruising speed of just over 180 knots and outperforms many comparable high-performance aircraft in its class who are using retractable gears. This provides some nice benefits. A fixed gear setup is lighter and less mechanically complex, which brings down the cost of maintenance. It also eliminates the possibility of a gear up landing, which is nice for both the pilot and insurance companies. Pilots, especially low time pilots, also generally have an easier time finding insurance (and better rates) on a fixed gear aircraft. Adopting the sidestick setup was definitely an interesting move. It certainly looks radical, and though it serves as a source of anxiety for pilots unfamiliar with the setup, Cirrus has provided excellent training material, and the word from many pilots is that it’s not at all difficult to pick up. In addition, once they’ve learned the sidestick setup, many pilots report preferring it to the traditional yolk. The sidestick setup offers some other nice benefits: it cuts down on structure and weight and opens up the center for better viewing of the instruments and displays. Though the sidestick setup is still limited to Cirrus when it comes to production general aviation aircraft, and it’s not likely to take over the industry anytime soon, it’s a testament to Cirrus’ hard work that it’s become accepted with no controversy. Though the adoption of the glass cockpit as standard isn’t always viewed as a positive8, it has allowed Cirrus to integrate with the latest technologies and offer pilots easy access to such things as instrument approach charts, remote-mount lightning detection, satellite weather, traffic awareness and GPS steering. Add to this the integration with other Cirrus specific systems like the TKS de-icing and ENV infrared vision system, and the pilot has easy access to a variety of additional safety features. More than any other design feature (and it’s important to note that this is a standard feature, and not an accessory or optional upgrade), CAPS is the one that most people are aware of and talking about. But before we get to how CAPS works, where did the idea come from? 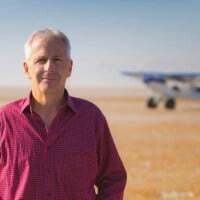 In 1985, Cirrus co-founder Alan Klapmeier survived a harrowing mid-air collision. Almost three feet of wing was ripped off his airplane, including half the aileron. This experience inspired the brothers to work on figuring out a way they could implement a safety device on an aircraft that could give a private pilot a way out of bad situations. After years of thought and refinement, the Cirrus engineering team began work on the CAPS system in the mid-1990s and began testing it in aircraft by 1998. And, as the SR20s started rolling off the line in 1999, they became the first production general aviation aircraft to come standard with a parachute system. The first emergency use of the CAPS system took place in 2002 over Lewisville, Texas9. The result? The pilot survived, uninjured. So how does this “whole plane” ballistic parachute recovery system work? The parachute is housed in the aircraft’s frame, in the aft of the fuselage, along with a small rocket. In an emergency, the pilot can activate the rocket, which shoots out, pulling the parachute behind it and deploying it within a matter of seconds. The plane then floats, rather than falls, to the ground. It has provoked much debate over how much additional safety it actually provides. And until recently, a brief glance at the safety data might have led one to believe that it didn’t provide much additional safety at all. Between 2001 and May 2014, there were 147 US-registered Cirrus SR22 airplanes involved in accidents, resulting in 122 deaths. This accident record prompted Aviation Consumer to do a detailed review of the SR20 and SR22 in 2011. They found that the overall accident rate for the series was better than average for light aircraft, and only the Diamond DA40 and DA42 had a better record. However, they found the fatal accident rate was 1.6 per 100,000 flight hours, which meant it was higher than the average rate of 1.2 for general aviation aircraft in the US and much higher than other light aircraft like the Diamond DA 40 (0.35) or the Cessna 172 (0.45). And this was in spite of the CAPS system. Cirrus decided that the reason for this was two-fold: pilot’s weren’t receiving enough training on CAPS, and they considered it an absolute last resort. So they began working with their training partners to provide Cirrus owners with more options to get trained on the system, including in simulators. The idea was to get them very familiar with the process of activating CAPS. In addition, they also worked with pilots to get them in the mindset of considering CAPS a part of their overall emergency training, and not just as a final, no options left, last resort. Some people even jokingly started using the mantra “Pull often, pull early.” It appears that Cirrus was correct with their guess, and their hard work started to pay off. Accident rate aside, there is one other consideration: when CAPS is deployed, how effective is it? Well, as of March 1st, 2015, CAPS has been activated 65 times in Cirrus aircraft, and successfully deployed 52 of those times. In the cases where CAPS was successfully deployed, there were 105 survivors and only 1 fatality. There have been no fatalities or anomalies (with a single exception still being investigated) when CAPS has been deployed within the certified and specified speed and altitude parameters. Based on everything I’d read and seen, CAPS appears to do its job well. A plastic airplane? I am an old school mechanic who loves aluminum. Consequently, in the beginning, my attitude toward these new composite airplanes was not so good. The first time I was asked to do an annual inspection on one, I was a little apprehensive because I had never looked at one before. Being unfamiliar seems to generally lead one more towards the negative than the positive, especially when the design is new or different and I fell into that mindset. But I was also curious: what all the talk was about? I wanted to poke around and see what I could see. In general, that first look didn’t impress me all that much. It seemed very much like a home built composite aircraft once I got behind the upholstery and inside the wings, much like a Glasair. With my predetermined lack of enthusiasm for composites, it’s not much of a surprise that it didn’t make me want to go out and buy one. It wasn’t until a year later when I had the chance to fly one that my opinions started to change. As I sat back in the comfortable leather pilot’s seat and lightly held the control stick with my left hand, it seemed completely natural. The unobstructed view of the instrument panel and excellent view out the window were welcome and I immediately felt at home. The flight impressed me from a pilot’s perspective. It was smooth, stable and powerful, not to mention fun. The side stick with built in thumb control for the pitch and roll trim was ergonomically comfortable and offers the pilot some kind of macho feel during flight. When I took off the headsets after that flight, my attitude was different. I had become friends with the airplane and could no longer hold a grudge against it. I decided to take a fresh approach the next time I would do an inspection on one. Now, don’t get me wrong, I am still a “metal guy” and prefer to work on traditional aluminum airplanes, but that is my own bias. I have come to see that Cirrus has developed an incredible aircraft and it does what it is designed to do very well. They are quite simple and easy to maintain. There is nothing unusual about the engines and they require the same upkeep and maintenance as any other Continental. Composites don’t rust or corrode. They are strong and flexible and I realize there are many benefits to them, but did I mention I really like aluminum? On one occasion a few years ago, I had a Cirrus arrive at my shop for some maintenance and as the pilot pulled the aircraft near my hangar, he misjudged the wingtip clearance and struck a power box next to the taxi way. When the wingtip impacted the box, it seemed as if an explosion of fiberglass fragments and splintered bits flew all around the vicinity as the material flexed and broke. The damage seemed most apparent right out on the tip itself and my first thought was that we could easily obtain a new tip, put it on, and it would be no big deal. Such was not the case. Upon a closer inspection, we found cracks in the wing root fairings and adhesive bonds broken where cosmetic strips and fairings are attached. But the big problem was found when we removed the rear seats and pulled up the carpet around the structure in the aft cabin. The rear carry-through spar was broken from a compression fracture. As the wing flexed rearward, the relatively weak structure in this area was crushed. The aft wing attach area on the fuselage was also damaged, evidenced by visible white stress fractures around the fixture. I was shocked to see this much damage from what appeared to be a minimum impact. The aircraft was barely moving. Had this been a Cessna, most likely the wing tip would have needed repair or replacement and it would be off flying again. I learned that these aircraft are very strong in ways they are designed to be strong but are very fragile when loads are imparted in ways they are not designed to receive. In order to repair the aircraft, we had to get engineered drawings from Cirrus, which were very expensive and took months to obtain. We were required to use composite resin and cloth material supplied by Cirrus that was temperamental and required very sensitive temperature control in order to cure properly. The whole process was time-consuming and tedious. This little incident ended up costing the owner over $20K. I was a little disappointed with Cirrus in the whole process because of the time involved in getting an approved method of repair, as well as the necessary parts to do the work. Moral of the story: Don’t damage your Cirrus. Composites require different inspection criteria and training to understand and adequately maintain these aircraft. This could be a factor in my hesitations about it since I am still learning. I have found them to be very durable and strong in normal use and have come to have a good appreciation for it. These airplanes have a few little quirks I am aware of that need periodic attention as well as awareness from the pilot. One example is the castering nose wheel steering mechanism. Differential braking is used by the pilot to steer the aircraft on the ground. The untrained and unaware pilot many times rides the brakes too much while taxiing the aircraft in an effort to have positive control. This leads to serious heat buildup and has even caused some wheel fires. Proper technique will alleviate this problem. High temperature O-rings should be installed in the brake calipers and the manufacturer recommends the replacement of these O-rings on a regular basis. They also put temperature indicators on the calipers to alert mechanics of previous overheat problems. The design of the nose gear is subject to shimmy problems if the preload on the steering becomes too loose or tire balance is compromised. If these aircraft start to shimmy it becomes a violent event and often leads to cracked and broken wheel fairings. With periodic maintenance, this is not usually a problem. The airplane is very electric and I have noticed several glitches with sensors, displays, and annunciators over the years. Usually, I get an avionics shop involved to help resolve these problems. They also have 2 standby emergency batteries in the aft fuselage that require replacement every other year. Overall I think the maintenance on these aircraft is straight forward, although the parachutes and airbag seat belts require periodic parts replacement. These tasks must be accomplished by an authorized Cirrus shop. The 10-year chute replacements are starting to ramp up now because of the high number of aircraft produced in ’05 and I have noticed it takes a few weeks for the shops to obtain the parts for this invasive and expensive job. I like the Cirrus. I think they are good looking, comfortable and fun to fly. But now I am going to rant a little bit. I think sometimes these airplanes promote a sense of security that may be inappropriate in the aviation world. My perceptions may not be exactly accurate but I think sometimes a lack of respect for the importance of training and the hazards of flying exists among Cirrus pilots. A new well-equipped Cirrus SR22 with turbos, TKS, glass cockpit, autopilot, airbags and that life-saving parachute can give flyers a sense of security that may be inappropriate. Don’t get me wrong, I hope the day I have an engine failure at night over the mountains, I have a parachute to save me. No doubt the chute saves lives. And I like the idea of having a powerful turbocharged engine so I can climb up above the weather. I also like a capable autopilot to reduce the workload when I am picking up ice looking for the TKS switch so that it will keep me going. I’m really not trying to be too sarcastic but I do have a problem when pilots use these tools onboard the aircraft as a crutch for poor airmanship and bad judgment. I have heard some of these folks use phrases like “I can always pull the chute if I get in real trouble” or “the autopilot is so easy to use and with TKS, it can handle a lot of weather”. These statements may be true but hazards of flying are still present, even in these super planes, and I hope people will not take anything for granted. Autopilots require training and practice to use successfully. Instrument flying is a skill that should not be taken lightly. It requires good training and practice to be competent and safe. Even the parachute is a topic that must be discussed to know how, when and where to use it. Each of these systems should be studied and understood through and through. I see busy business owners and executives purchase these aircraft but not budget the time and effort to become proficient. They often slack off on the higher levels of training after getting the private certificate, thinking they will work on it next month or next year when “things slow down”. If we are going to fly, lets make it a priority and make it a serious business. Technology is a great thing, but it requires effort, especially for some of us older guys to get good at. And, when it fails (which happens) you need good stick and rudder skills to safely get the aircraft home in one piece. So, what does the future hold for Cirrus and the Cirrus SR22? Sadly, I lost my Magic 8-Ball, so I’m unable to provide concrete answers. But if the past in any indication, Cirrus will continue to refine their existing aircraft, making them more powerful, more technologically capable, while always pushing continually toward making them safer. Oh, and they’ll be bringing us Cirrus Vision SF50 Jet soon. Very soon. 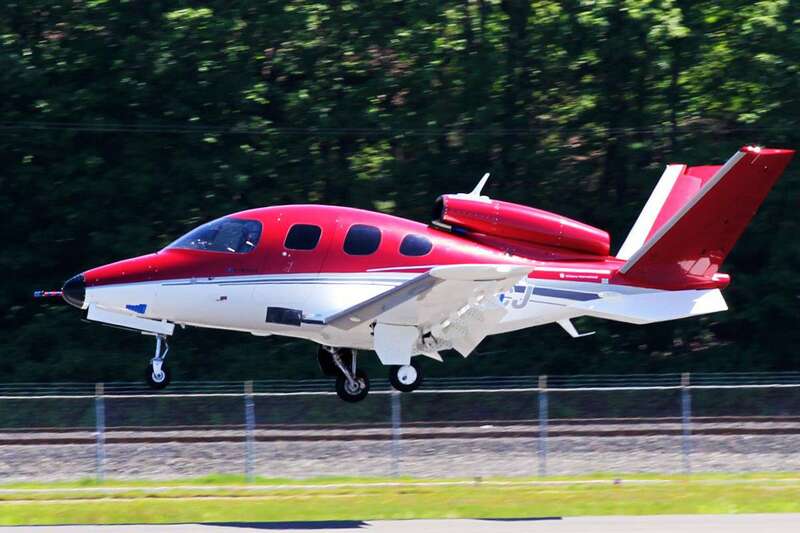 Final flight testing concluded in December last year, and Cirrus has expressed confidence that certification for the SF50 will proceed on schedule, without need for modification. They’re so confident, in fact, that the first SF50 production aircraft began being assembled last month in April, in order to meet the current demand for 550 aircraft already on order. The future is looking bright for Cirrus. So bright, they might need to wear shades. 1 – The VK in VK-30 stands for Viken-Klapmeier. 2 – It should be noted here that Viken’s wife, Sally, designed the VK-30’s flap system. 3 – The initial VK-30 prototype used parts from other production aircraft, including the nose gear from a Piper Cherokee and the main landing gear from a Lake LA-4. 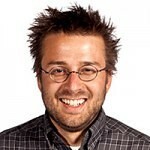 4 – In mid-2011, aviation industry analyst Brian Foley revealed he was attempting to organize a group of US investors so they could make a counter offer to the Chinese buy-out, and keep Cirrus a US owned company. Though he said he received an “overwhelming response” from the US aviation community regarding keeping Cirrus in the US, he was never able to produce a counter offer. 5 – In 1995, the final VK-30 kits sold for $64,000, not including the cost of the engine. 6 – As of 2011, ten VK-30 aircraft are still registered with the FAA in the US. 7 – Air conditioning was also offered as an option for the SR22 Turbo G2, but this further reduced the useful load. 8 – Some pilots claim the glass panels and computers wear out quicker than traditional instruments and cost more in maintenance and repair. There’s also concern over losing access to all the instruments if a glass panel goes down, versus single instruments in the traditional arrangement where they aren’t all tied to one system. 9 – The goal of the CAPS system is the survival of the pilot and passengers, and not necessarily preventing damage to the aircraft. Cirrus assumed that most aircraft, after deploying CAPS and landing, would be damaged beyond repair. However, after looking over the aircraft involved in this first deployment, they found out it was actually not badly damaged, and they purchased it back, restored it, and used it as a demo plane.